Happy And Famous: Shipping And Packaging Costs Money! Yes, it does! I have free shipping to UK on almost everything. That Means - I PAY FOR SHIPPING AND PACKAGING MYSELF! There is some heavier items, that I will charge for shipping too. Wait? do you think I will send 2.5 kg game on my costs? Shipping itself costs 23 Euros. O.K. I will not charge for packaging materials, I use what I have. You can choose to pay extra for shipping and I will buy box specially for you. Whats wrong if I do not charge you the shipping costs and place your item in plain mailer or in bubble mailer? BTW, I paid tor them too. I have only one complaint about my "pink" plain mailer. 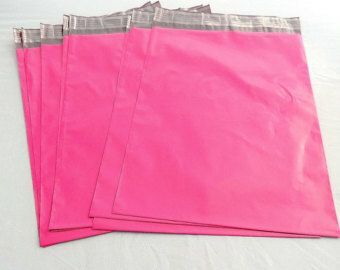 When I order my shipping supplies online, I do not know what color it will be - pink, purple or other color. And, actually. I do not care. the thing I care about is, that the product arrives safe and undamaged to the buyer. If you do not like the "pink" color, just send the empty mailer back, on your expenses! 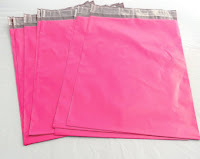 I have loads of that pink mailer, and I am not going to buy new ones just because on individual didn't like it. Enjoy the picture of my sweet mailers!